So this topic seems to overwhelm some and I totally get it. By the end of the school year I usually have stuff everywhere, nothing in its place, and what do I do with all of these leftover papers and curricula? Sometimes the clutter can get to nightmare status, right? 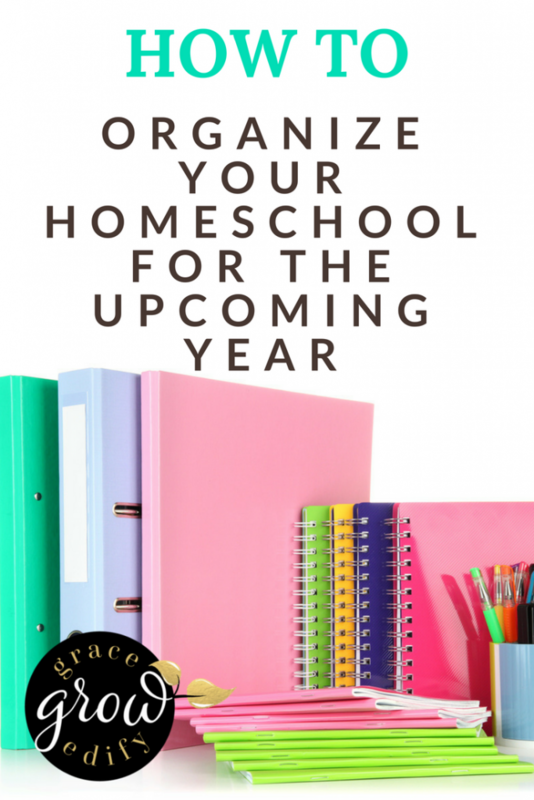 I have created a simple step by step process to clear the clutter and get you organized for the next homeschool year or semester. 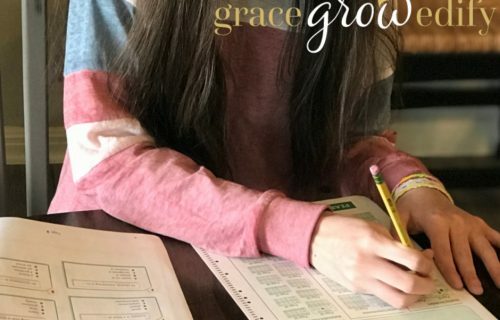 There are a couple of ways to do it, and I have done both, but I am here to tell you by doing it as you wrap up the end of your homeschool year it is much easier. Even though we are year round homeschoolers, we take every July off. 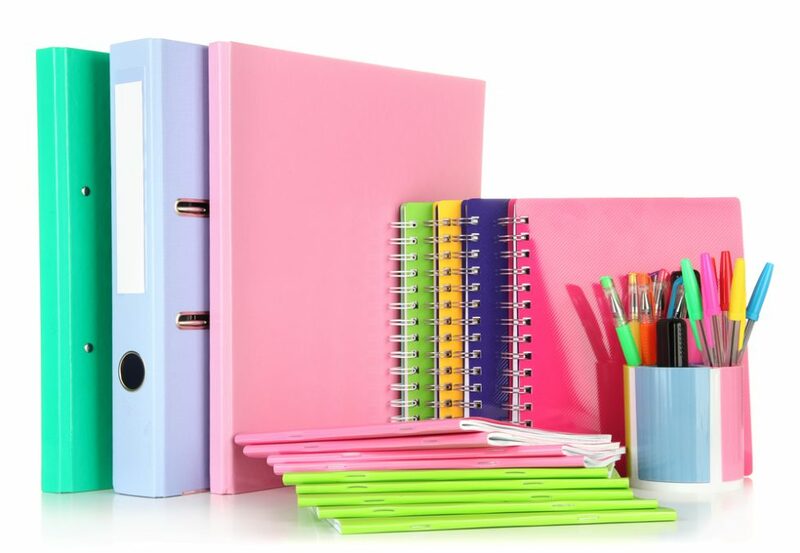 I have found that it simplifies my life to organize our homeschool room, curriculum, and paperwork as we wrap up. 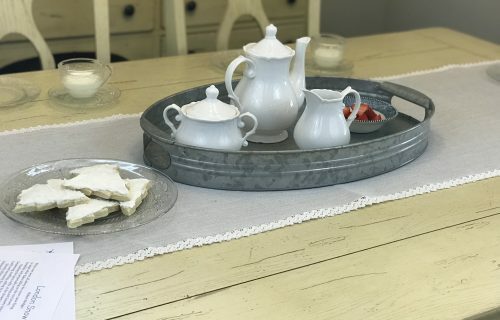 Things are still fresh in your mind, you know what you have completed, and it helps to go into a break with a clean an organized homeschool space. 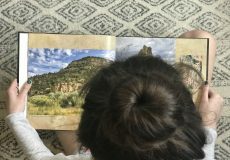 Since we school year round, usually, by May or early June we have completed much of our core curriculum, and we are transitioning into “light schooling” for the summer and a full break in July. 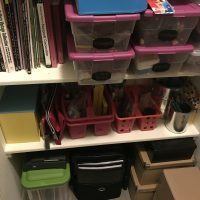 So I like to have everything cleaned and organized before I begin to buy new curriculum or supplies, so I know what I have and will use or what I need to purchase. 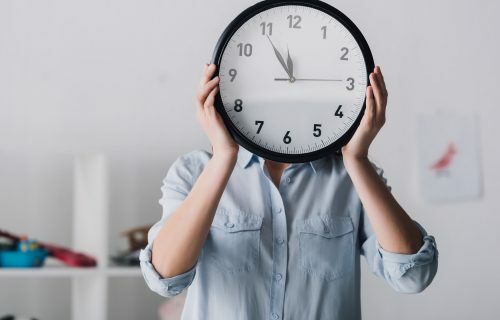 However, if you are reading this and your summer break is over, and now you want to organize before your new homeschool year begins, YES that works too! I am sharing our system and how we implement it, but there is never a wrong time to organize. It helps our mental state to have things organized around us, and also helps the budget by knowing what you have and/or need. 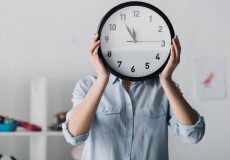 If I save it, do I really think child #___ will be able to even use it by said time? Is it time to update this item? If I haven’t used it in 1,3,5 years, do I honestly think I will ever use it? Would this item better serve me if I sold it for the money and had the extra space? 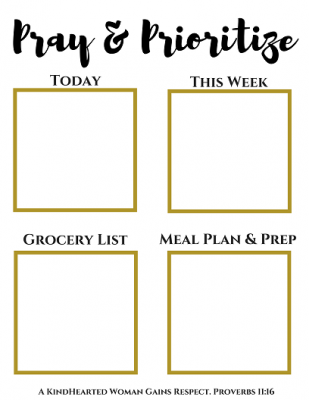 LISTS – I like to make lists as I am going through my sorting, anytime I think of something I will need to replace, or purchase for the next year I jot it down. This can be for curriculum, supplies, or anything that you know you need/want for the upcoming year. 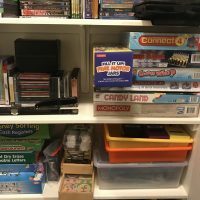 SORTING COMPLETE – Once you have everything pulled out that you want to sell or donate, begin the process of listing items for sale or planning a garage sale. The money that you make from your used curriculum or items can be recycled into your budget for the upcoming year. Make your donation drop, do not allow this to collect dust somewhere for months or drive around with it in your trunk forever. Just get it done. 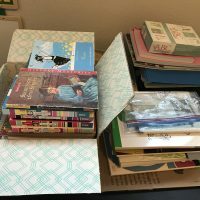 PAPERS/SCHOOL WORK – Every year I bundle all the necessary school work to prove we are legitimately homeschooling and mark it on the outside with the year. I live in Texas, and I currently don’t have to prove anything to the state. But I have always liked to keep our tests, lesson plans, and major papers or projects so that IF I were ever asked or approached and needed to prove that we do in fact school, I have proof. 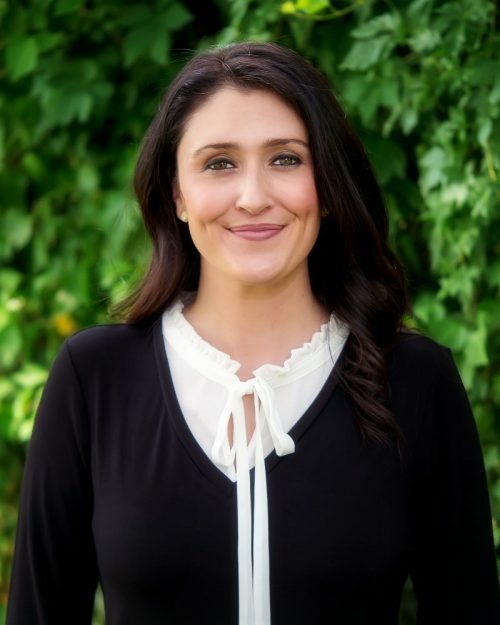 If you are in a state or province that requires portfolios or required evaluations, it is extremely important that you have a system for organizing and collecting your appropriate papers, pictures, and tangible proof. ORGANIZE – Now is the time to put like things back together. 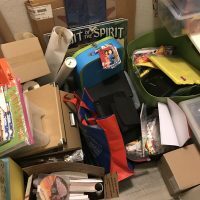 Books, board games, markers, folders, whatever it is; the easiest way is to bulk these items together, that way when you are looking for something in the future you have a great idea of where it should be. This is also the time to go through old markers, crayons, dried glue sticks anything that needs to be removed as you organize it all. Use bins and baskets to keep like things together, get creative and tag or label things. The best gift I ever got was a label maker! I label the outside of craft/supply boxes to keep things in order. Or keep clear bins and you can see what is inside. 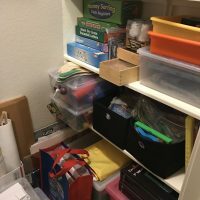 CLEAN – Now I like to clean the homeschool room or space out once I have organized it all. We have a room that gets well used through the year, so I do a complete cleaning once the school room is emptied a little. 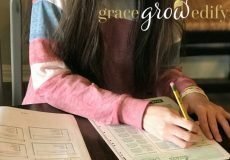 ASSESS – It’s the perfect time to decide if you need to make a shift in your homeschool. Before you purchase anything new, use this as an opportunity to do assessments of your students, streamline any processes for the new year and reflect on any areas that may need changes. This helps the process of knowing what curriculum to buy, what areas you might want to focus on your children and anything that you may need to tweak. NEW ITEMS – Now you are ready to bring in new supplies or curriculum into your clean and organized space! 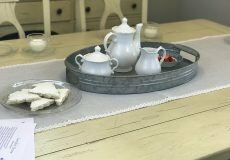 Now you easily know what to purchase, you have increased your budget by the sales of your no longer needed items, and you have lists for supplies! DONE AND DONE! Or hold onto your lists and wait for the back to school sales, but at least you are prepared now. 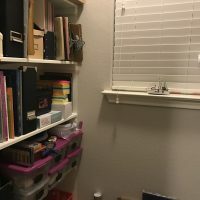 Below are some quick pics of our homeschool closet. The very first picture is what it looks like at the end of the year, we dump all sorts of things in there and it piles up. Everything gets tossed on the floor, and I didn’t take enough before photos. 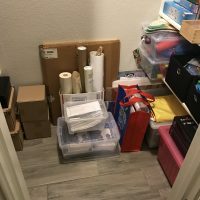 The in-between photos are of the organized closet after the completion. But by using this same process I use every year, it only took me about 1.5 hours to clean out the closet, and our entire classroom. The last picture is the box of curriculum and items I will save for our homeschool group’s annual curricula sale. But, everyone has a disaster area somewhere, just pick a day or block off some time and tackle it. I like to plan for it like any other project. I estimate how long it should take me, and schedule it on the calendar. That way my husband can help with the kiddos, and I can complete the entire project in a reasonable amount of time. I have adapted a pretty simple process that I use year after year, and it works! 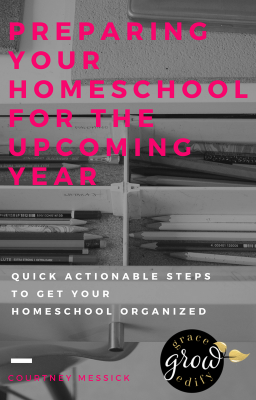 If you do this at the end of each year, semester or any reoccurring point in your year you won’t get too overwhelmed, and you can develop a system that works for your homeschool. 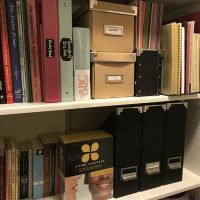 You will feel better knowing you are more organized, I promise! 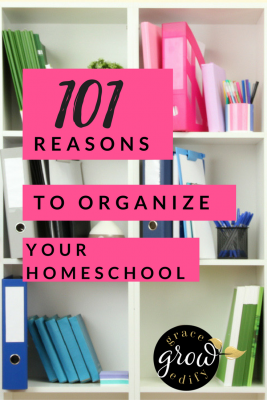 What tips can you share about organizing your homeschool? I would love to hear them! You can also download a FREE PDF with these organizing tips below. Loved this! 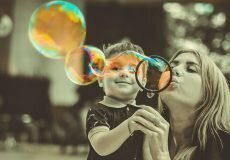 We’re going to be starting our very first year in homeschooling and I just loved your ideas and how they can apply to our situation. Thank you so much for sharing! Congrats on 10 years Laurie! I don’t know about you but it flies by, doesn’t it? Thank you and thanks for stopping by! Great tips!! I am currently schooling our 6 and 4 yr old, and I was just able to go through some of our school shelves. There were quite a few things that we have never used, and since we haven’t used them so far, I’m pretty sure we won’t at all. I’m going to try to sell them in a couple local homeschool groups on FB. Yes! I am doing the same process now. I agree, things get shelved for “maybe when” and we don’t end up using them haha. So glad to see the process is working for you too!